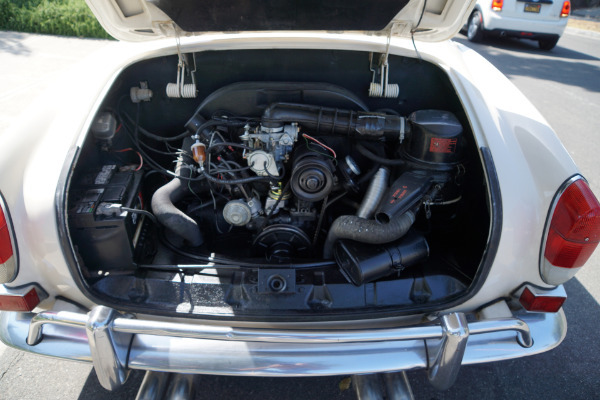 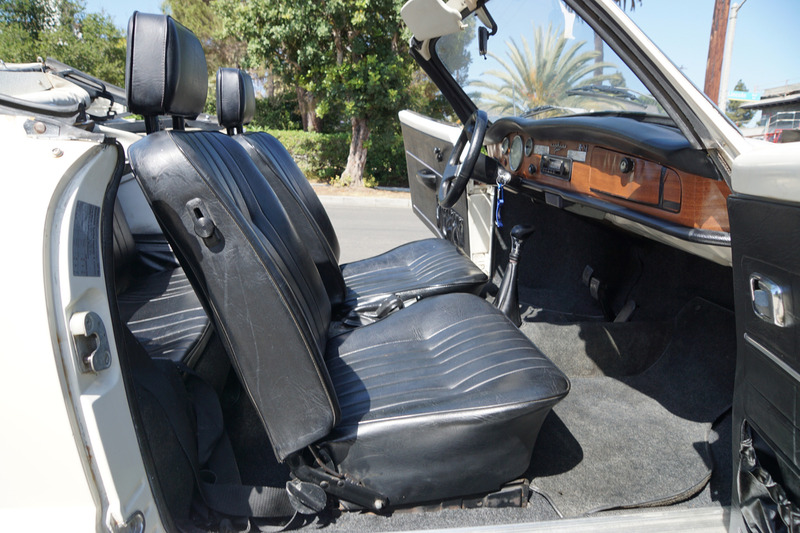 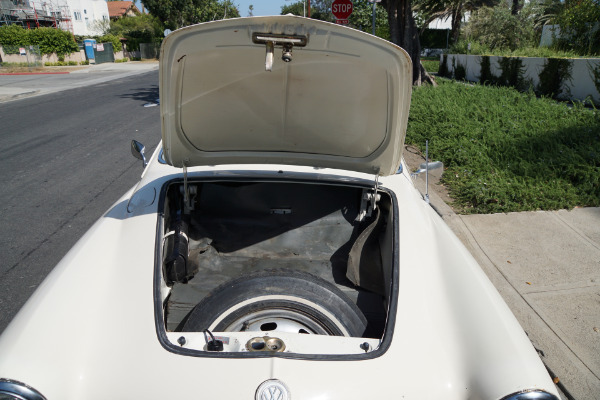 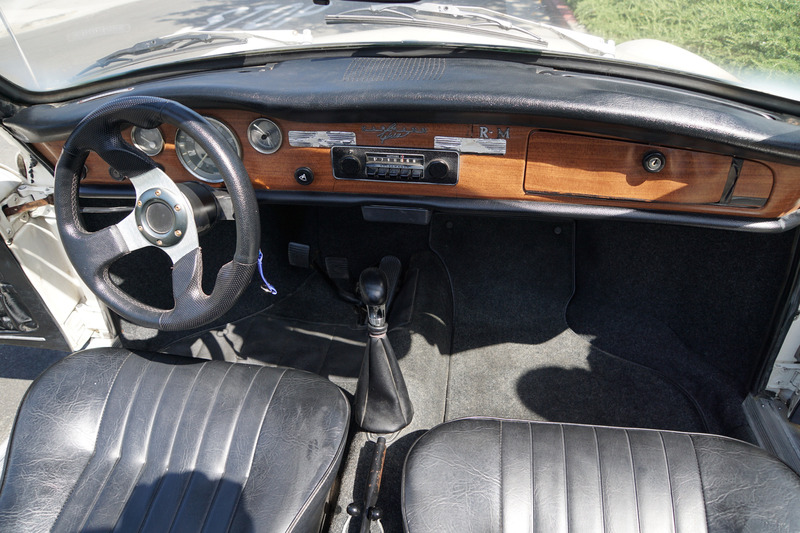 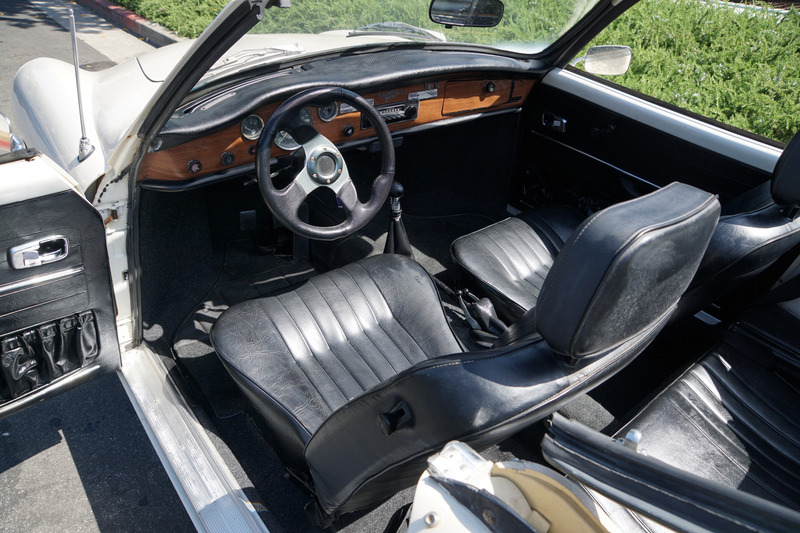 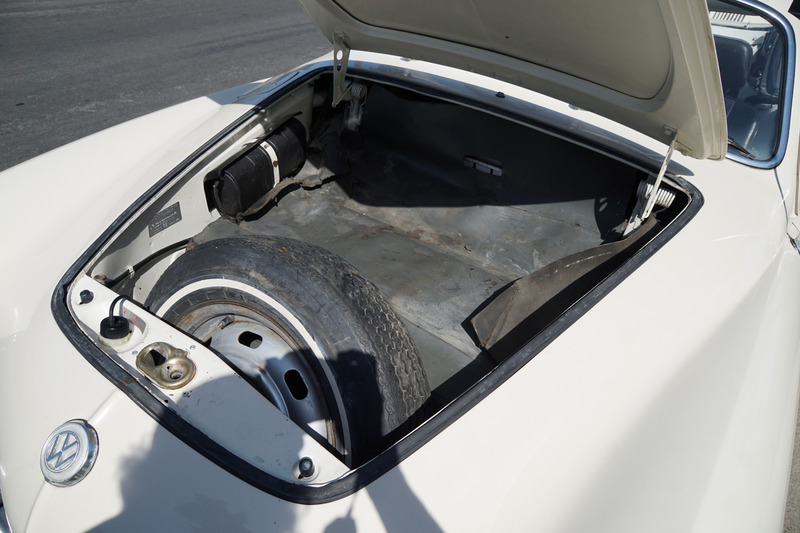 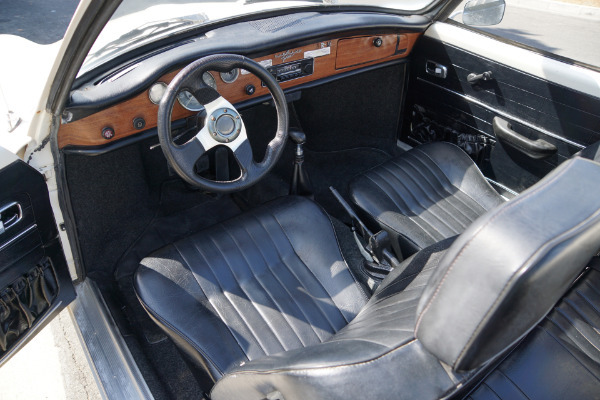 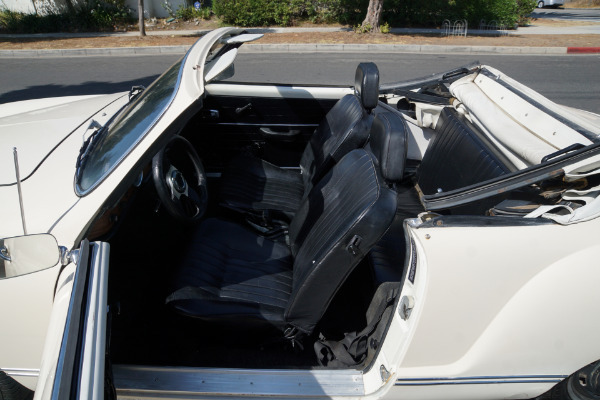 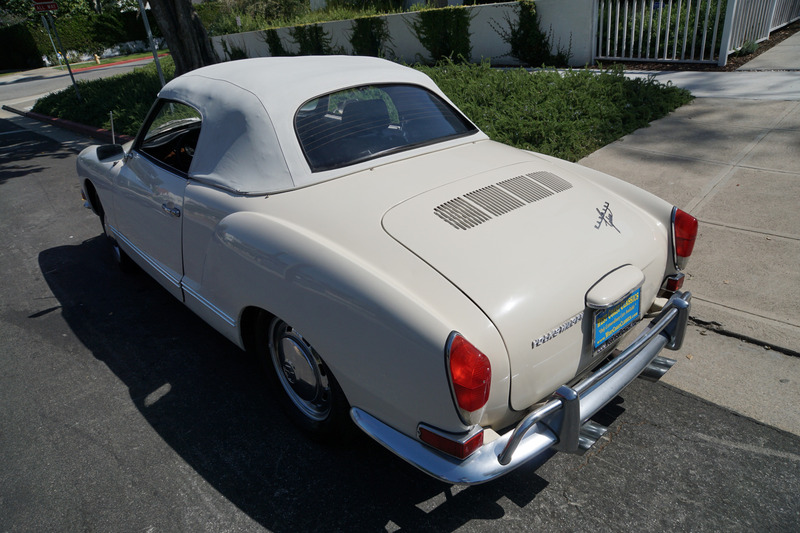 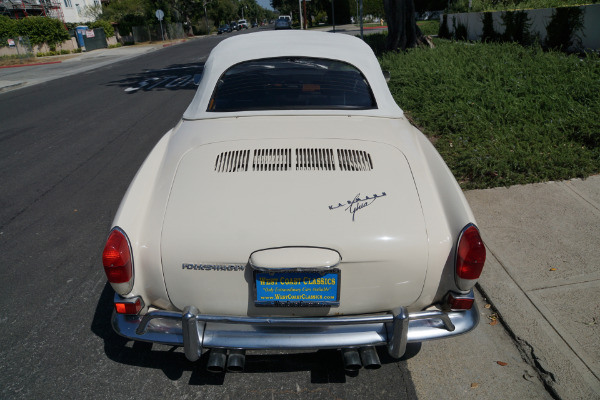 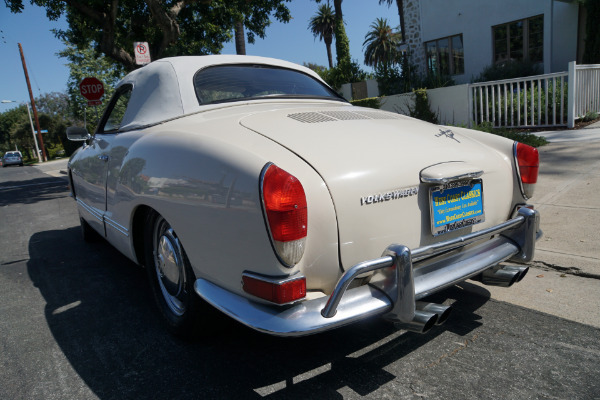 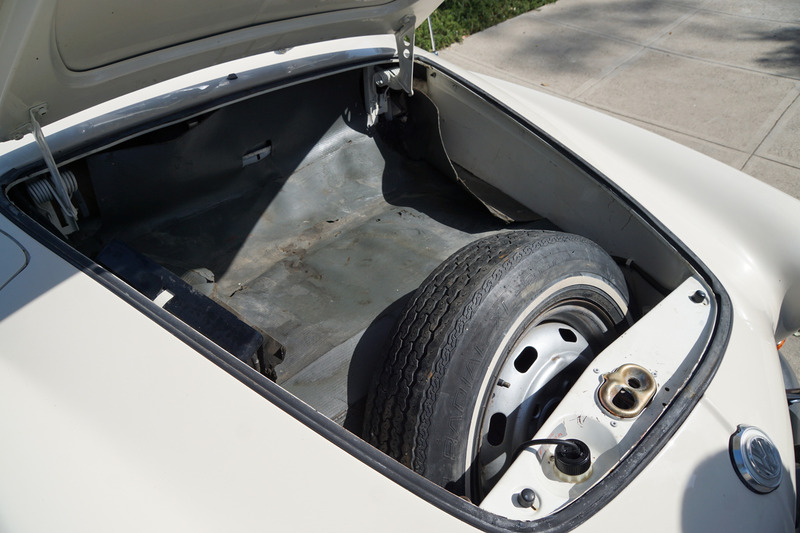 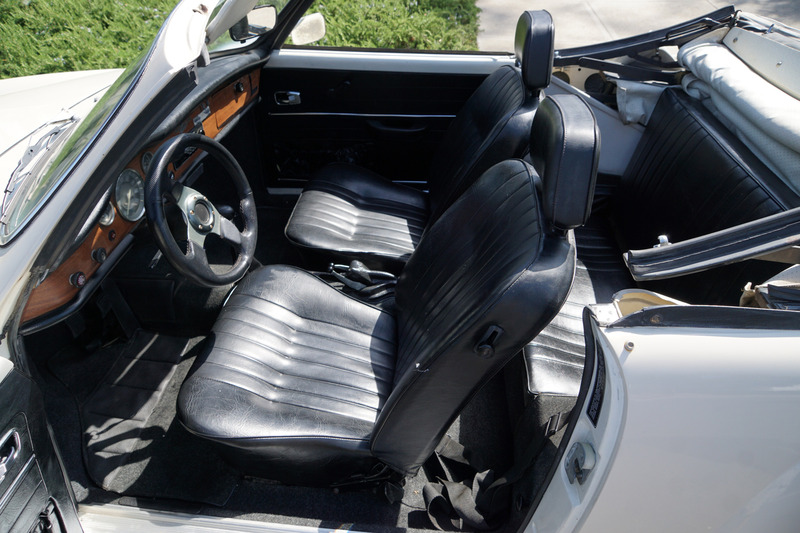 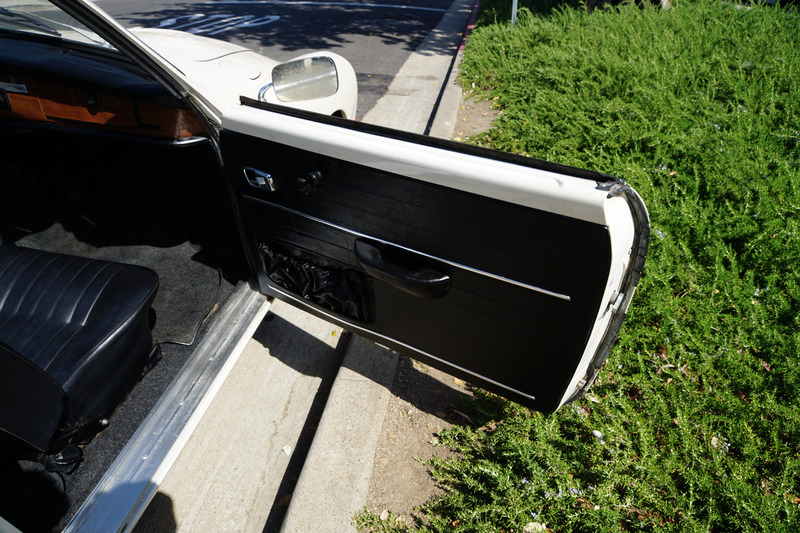 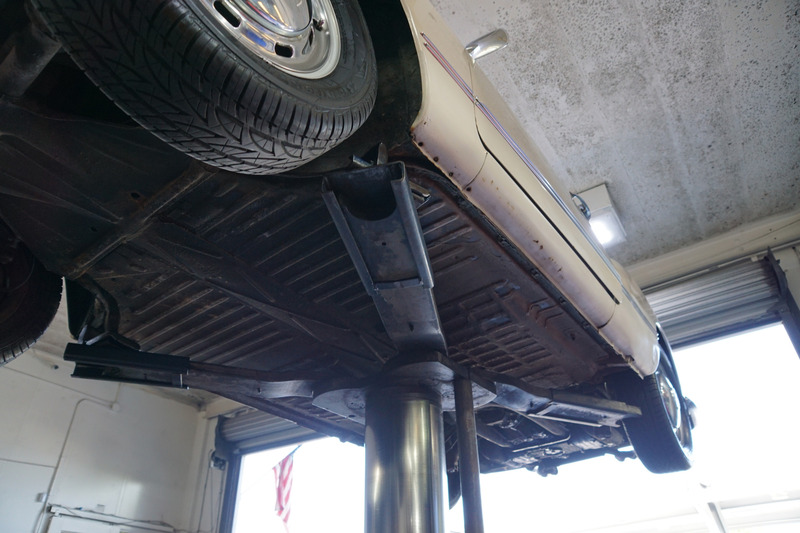 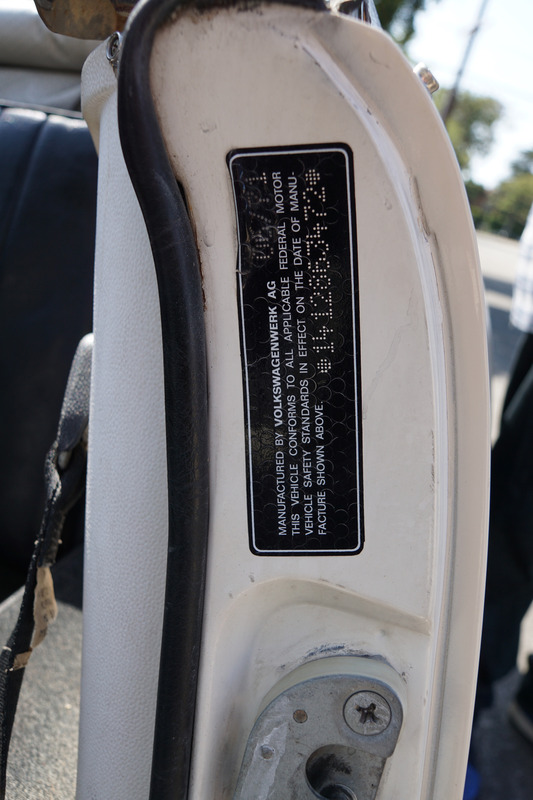 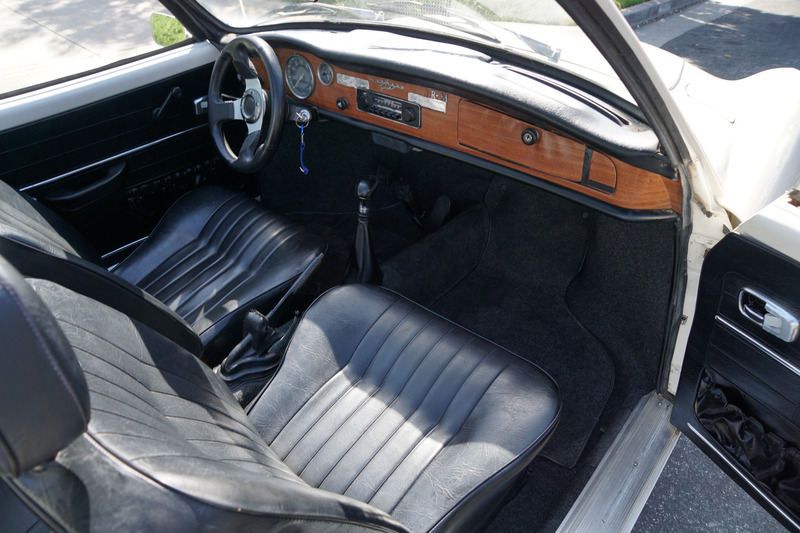 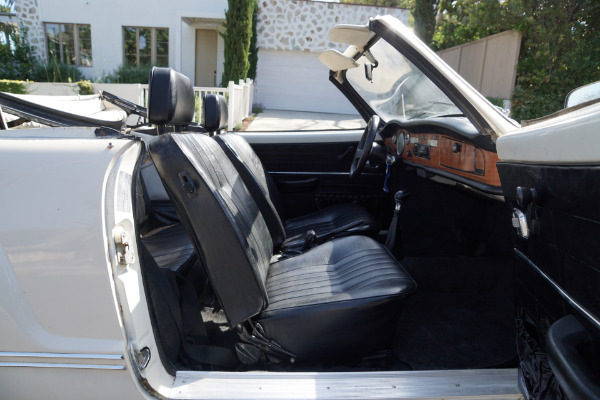 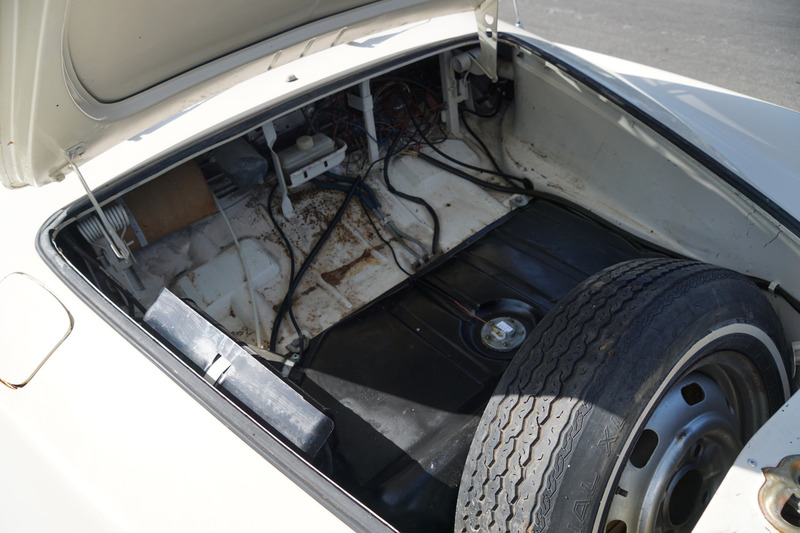 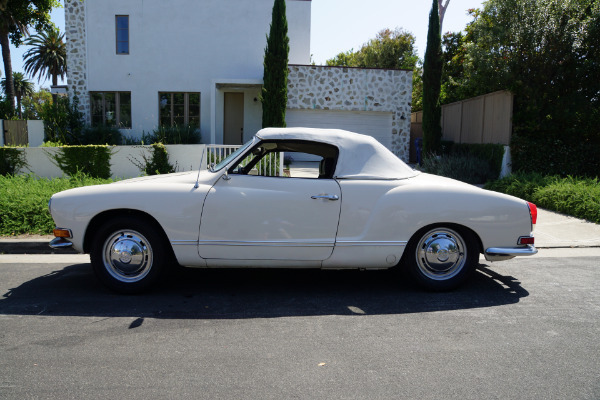 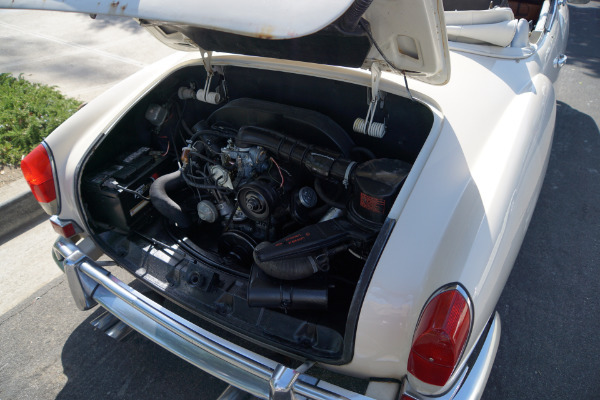 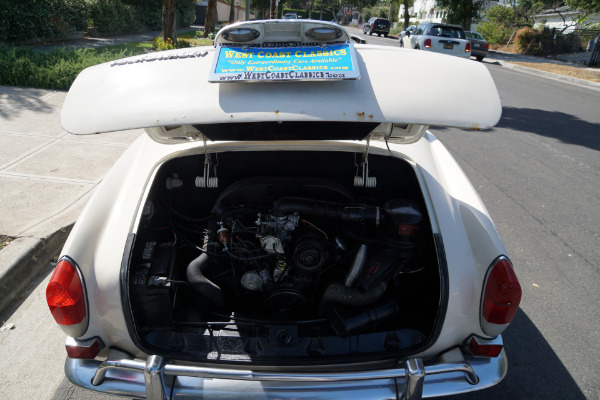 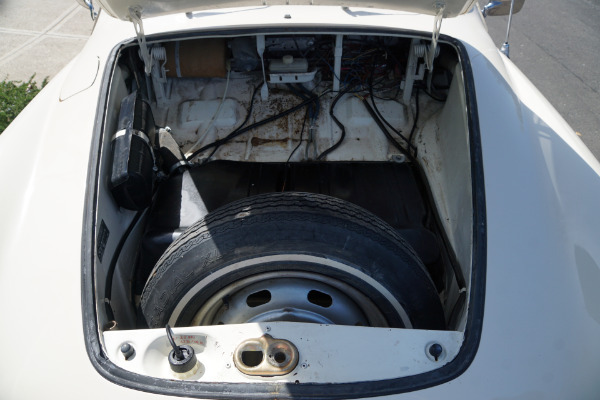 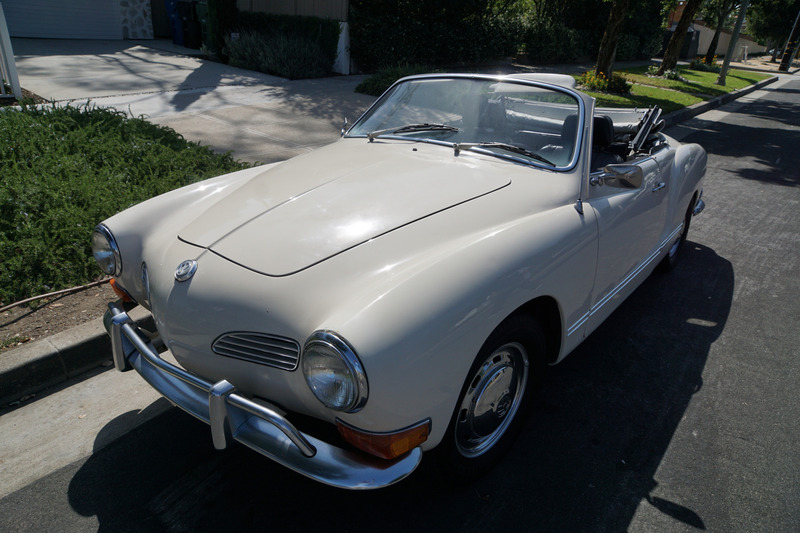 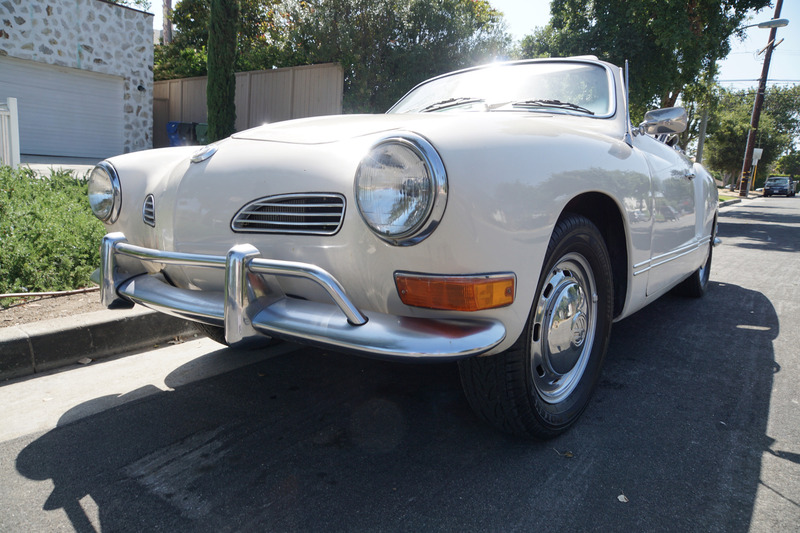 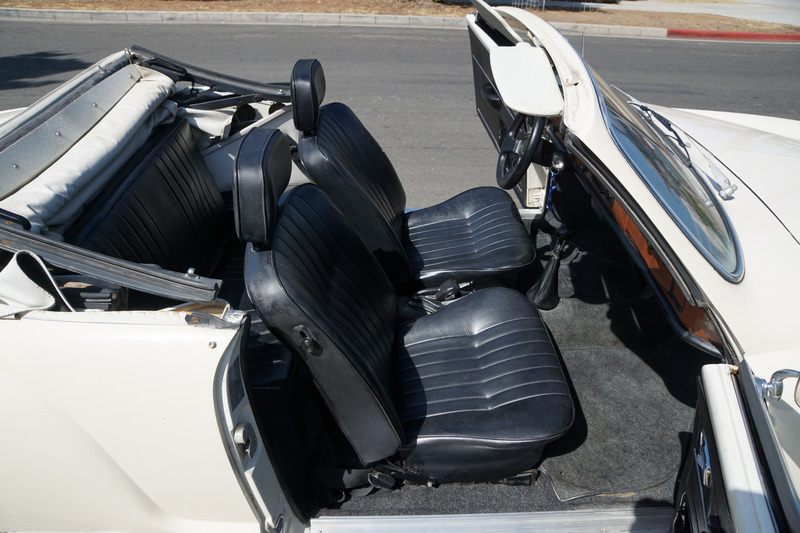 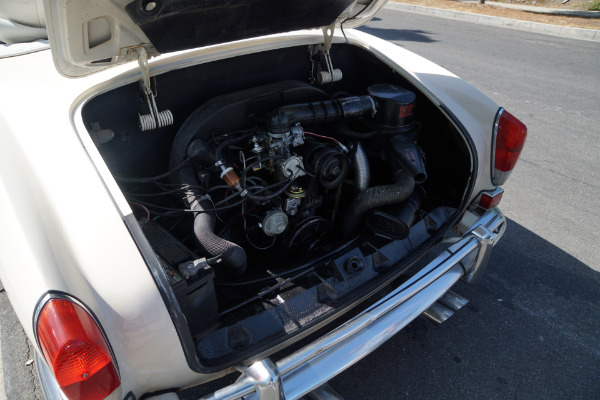 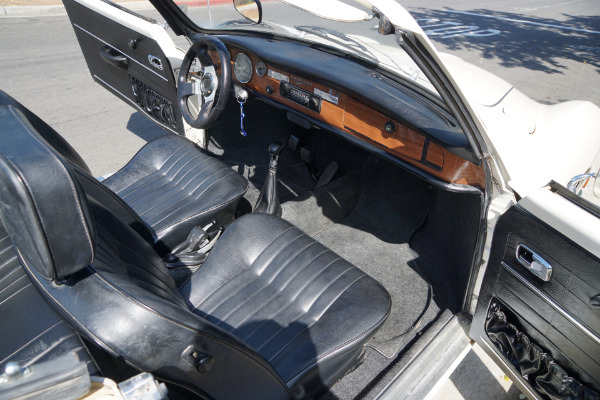 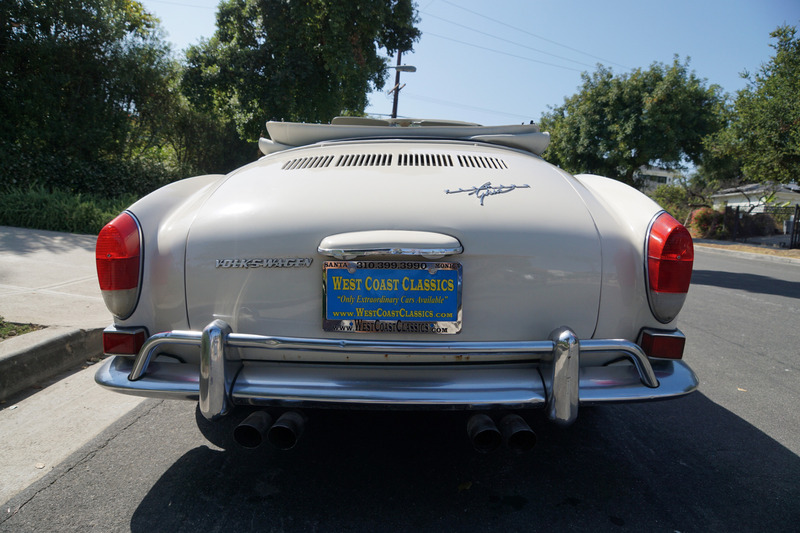 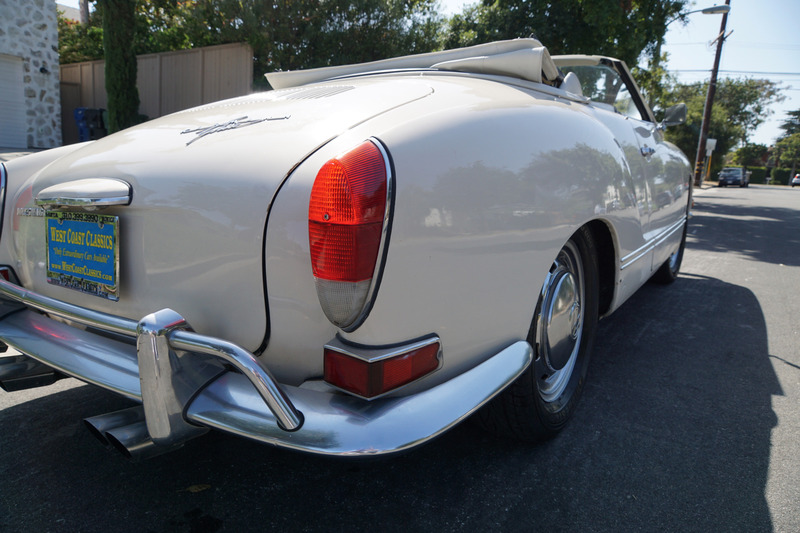 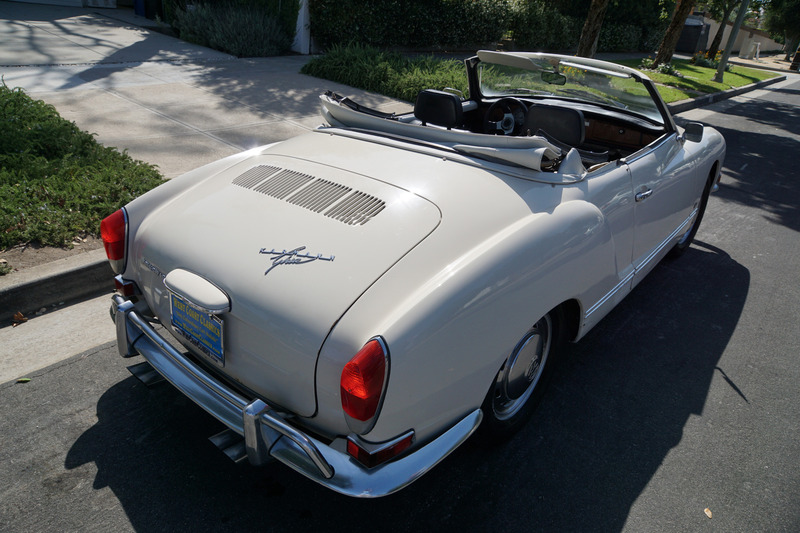 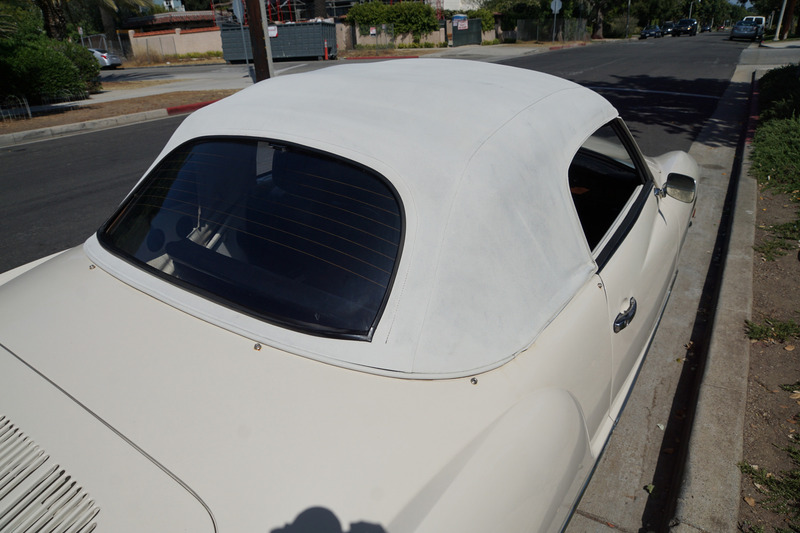 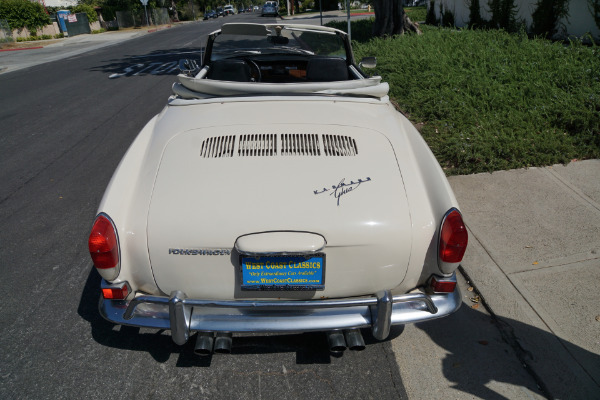 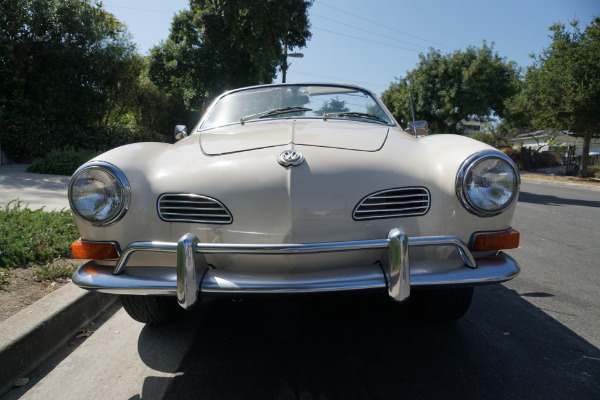 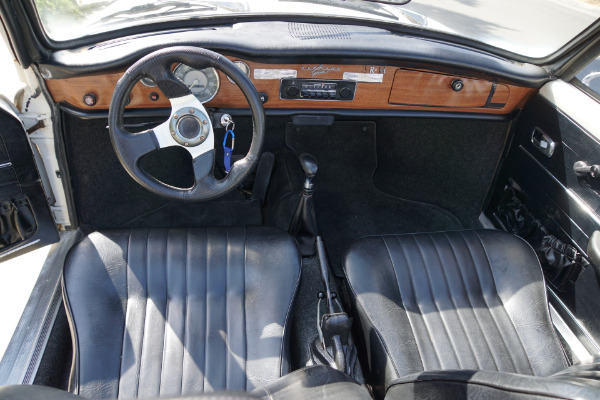 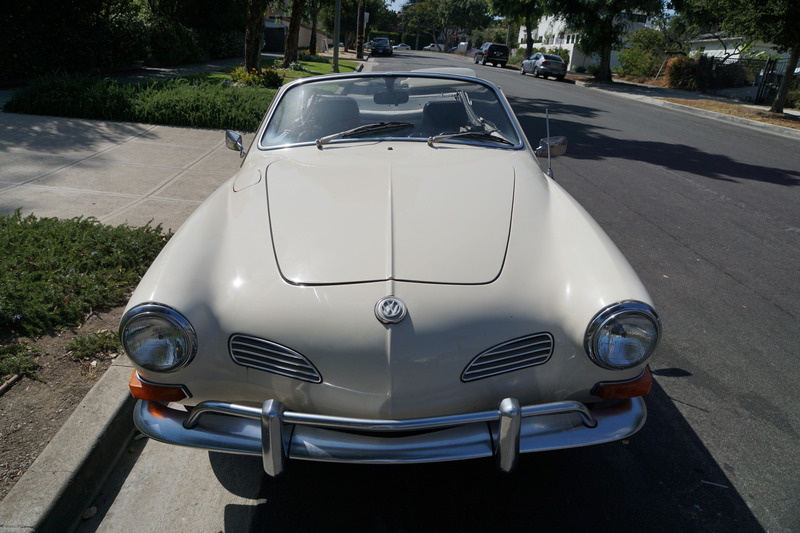 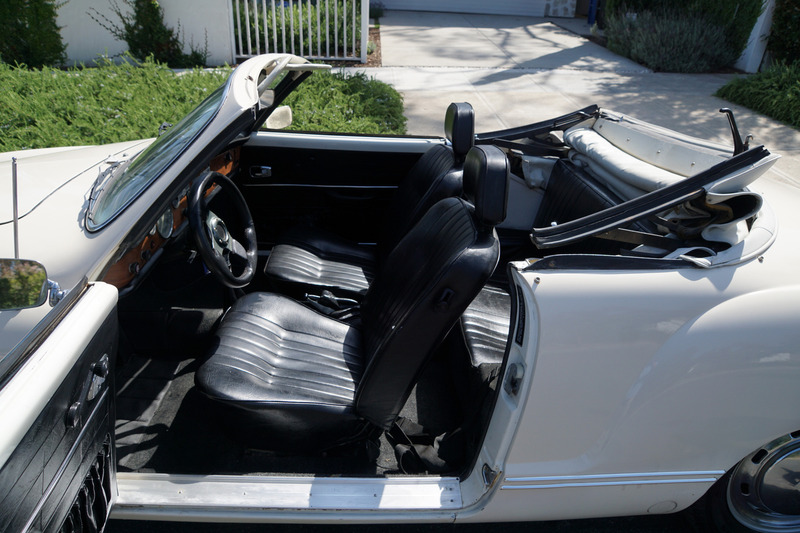 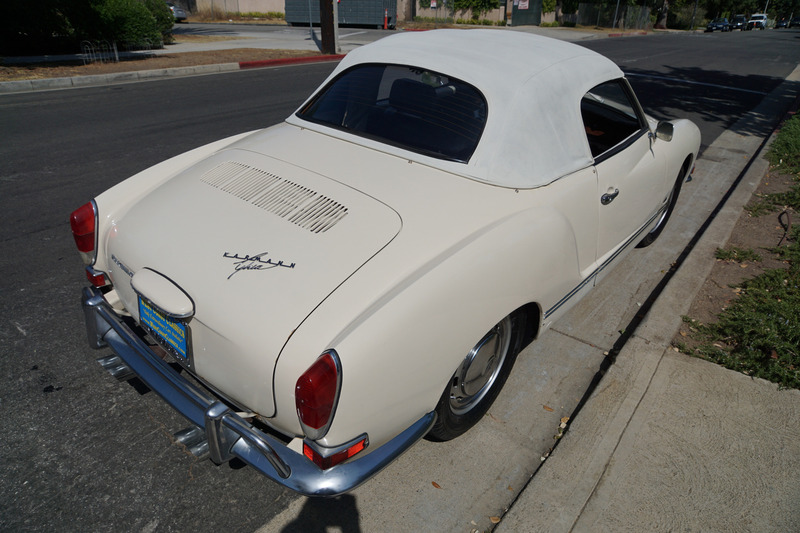 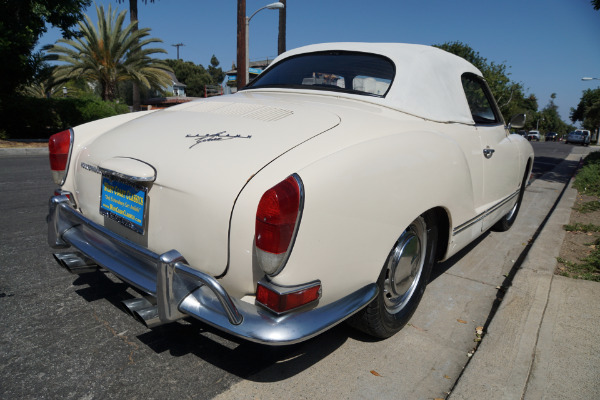 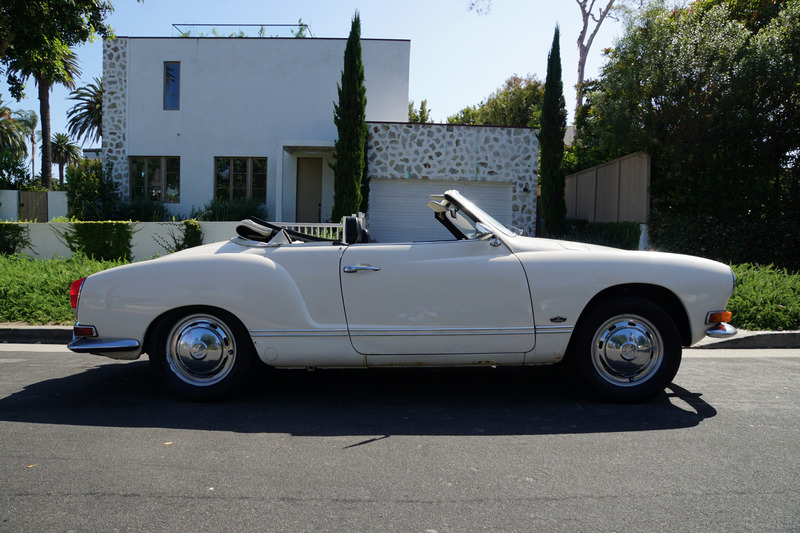 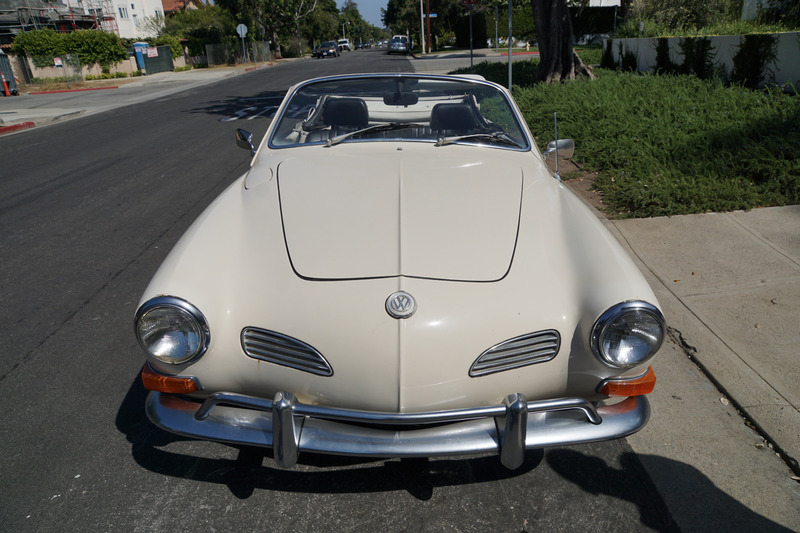 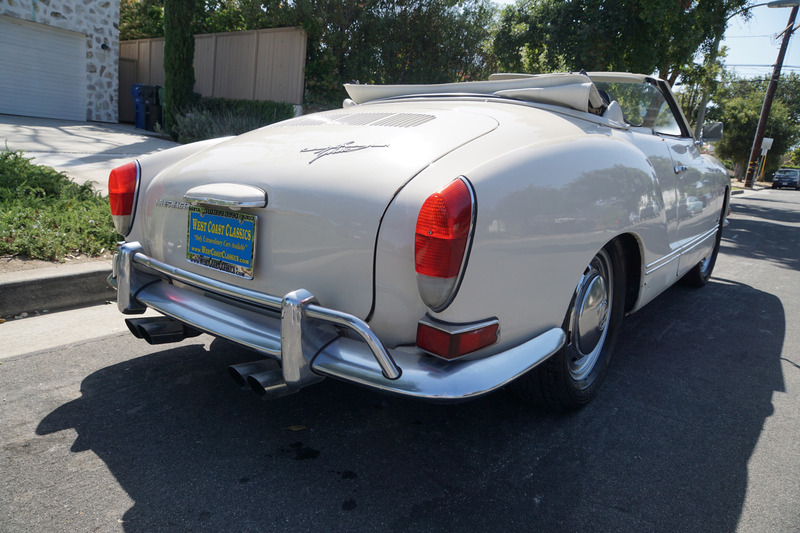 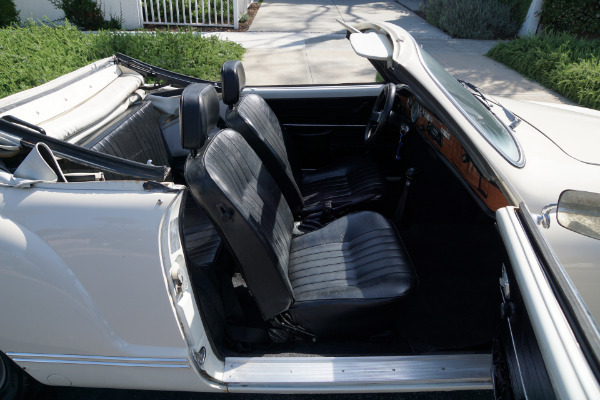 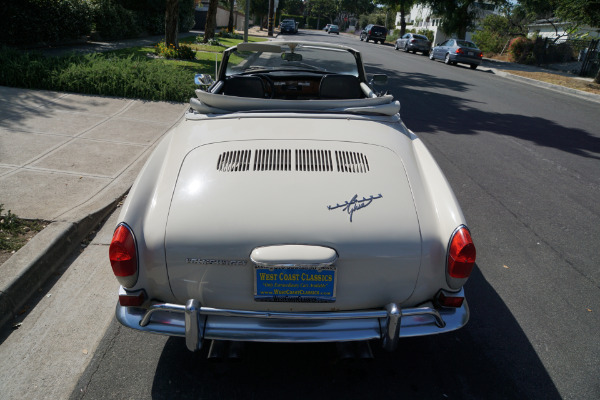 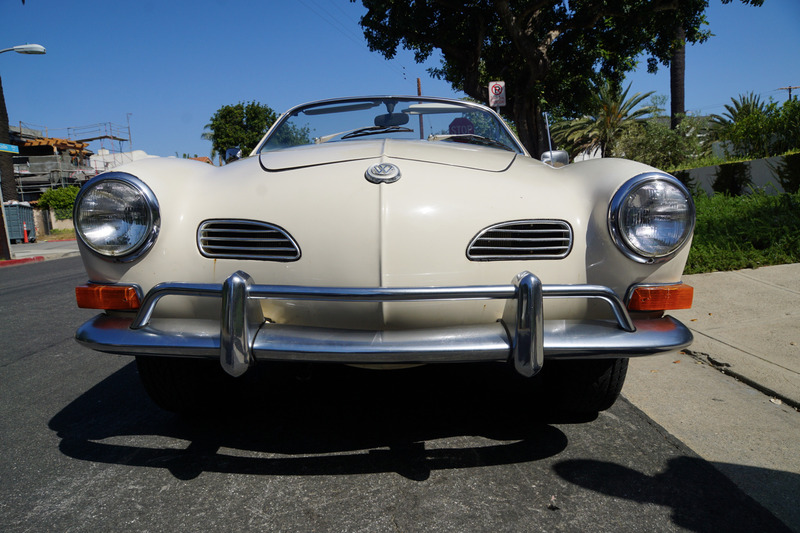 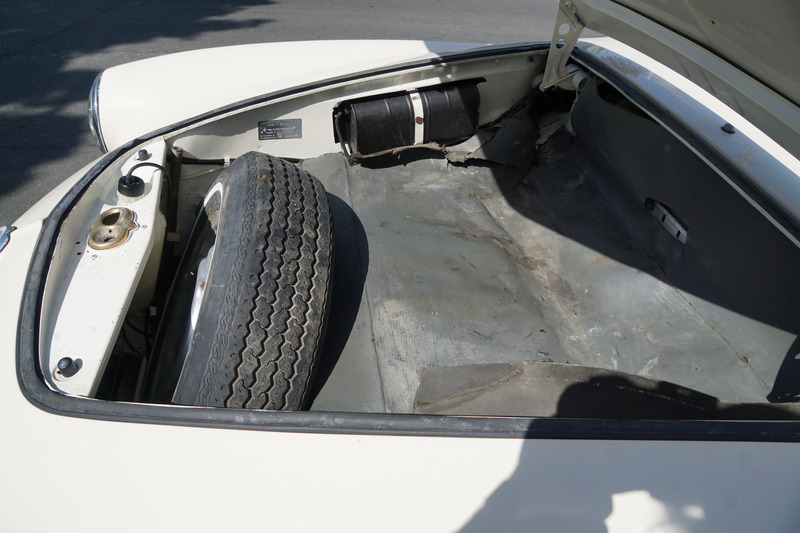 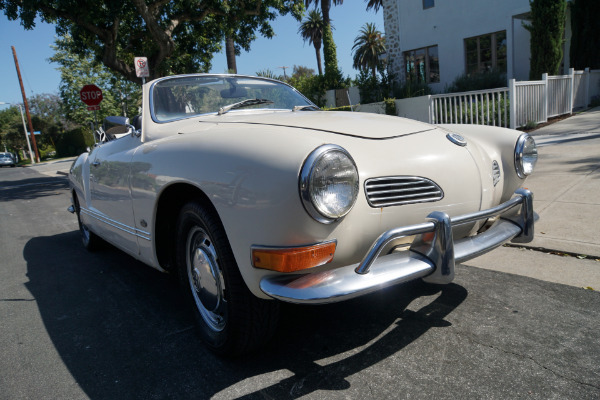 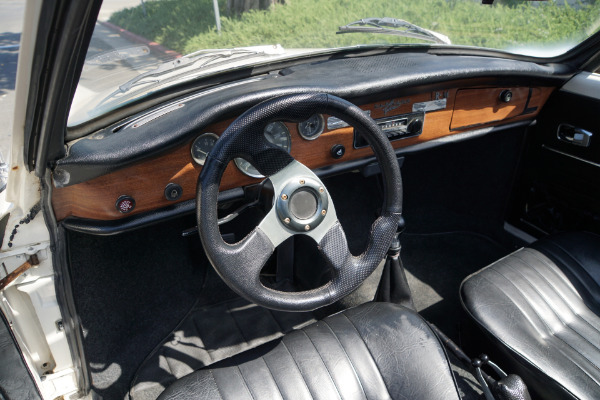 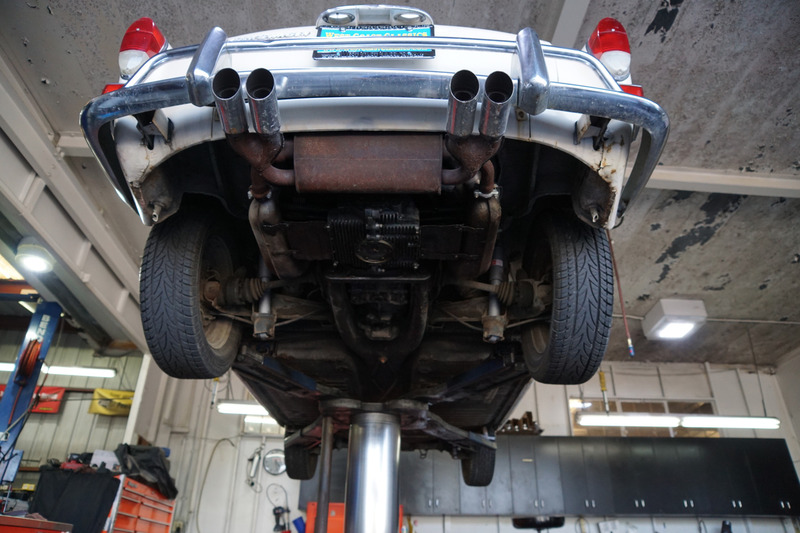 West Coast Classics are proud to present a great daily driving example of this 1971 Volkswagen Karmann Ghia Convertible! 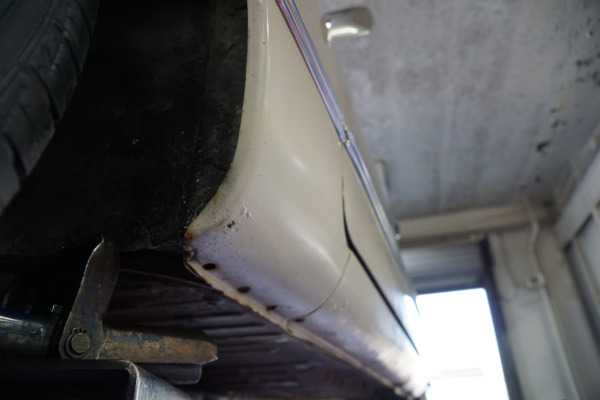 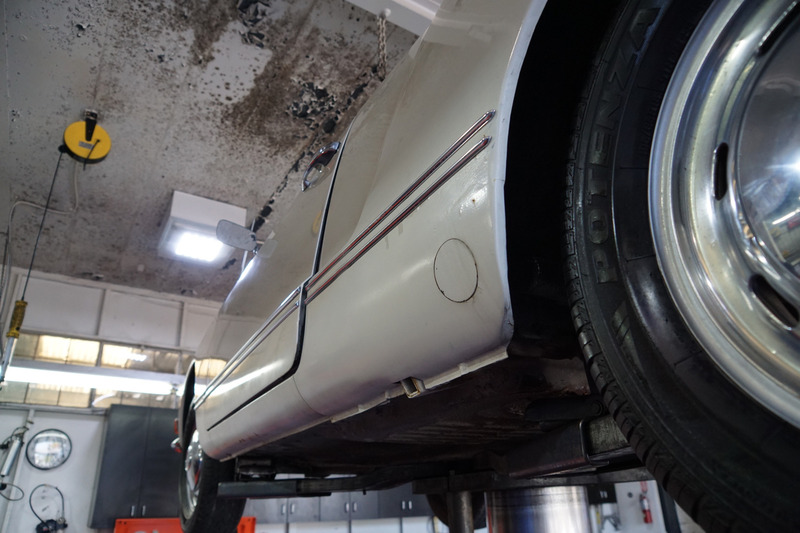 This is a very original barn find (garage really!) 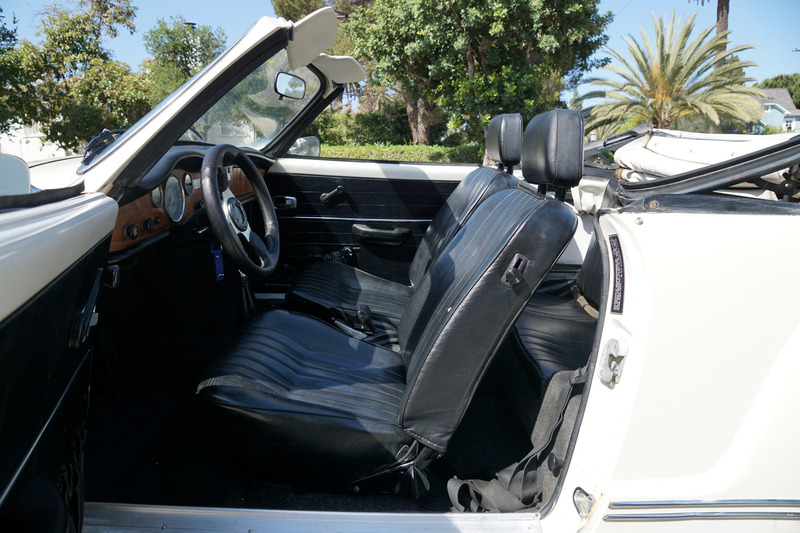 example needing some TLC, owned for many years by reportedly only it's second owner, it drives very well but will need some attention; there is some minor rust bubbling appearing under some parts of the paint etc and as typical under the battery box but overall would have to be considered a very honest and original survivor example prefect for the enthusiast to restore or simply to be used as for what it is, a very dependable and unassuming all time classic Volkswagen! 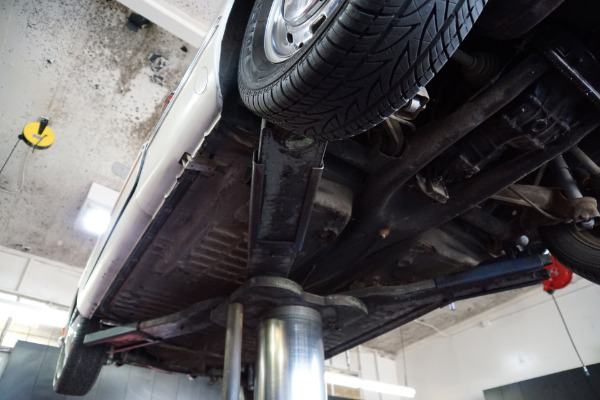 In 1957, the VW Karmann coachwork Osnabruck's assembly line built 105 Karmann Ghia Convertibles which was a landmark design of it's day in ragtop simplicity compared to contemporary British roadsters! 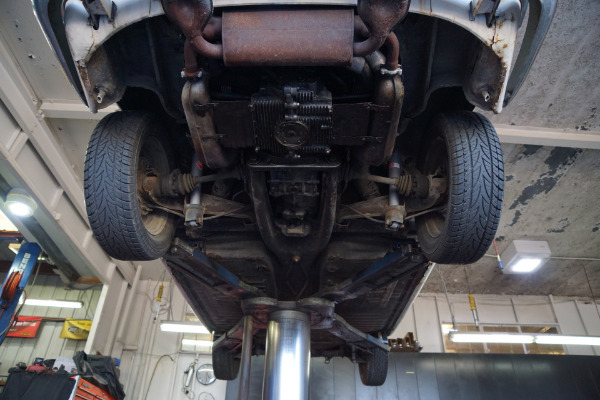 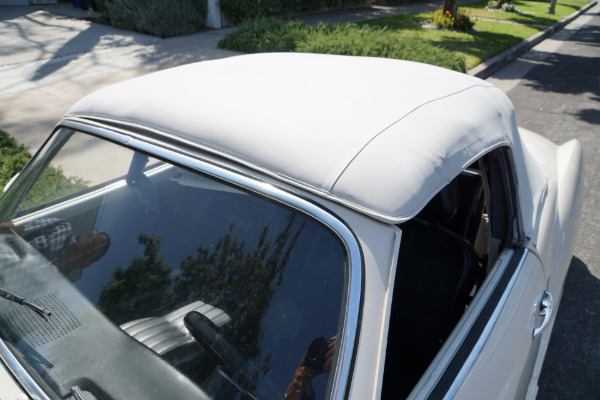 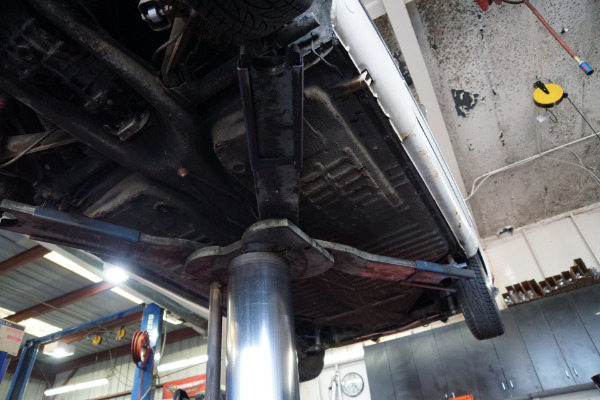 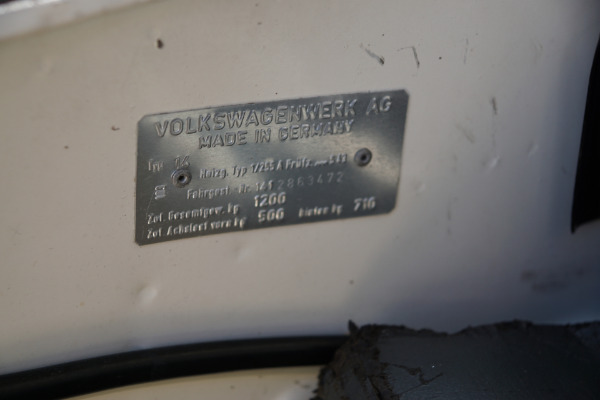 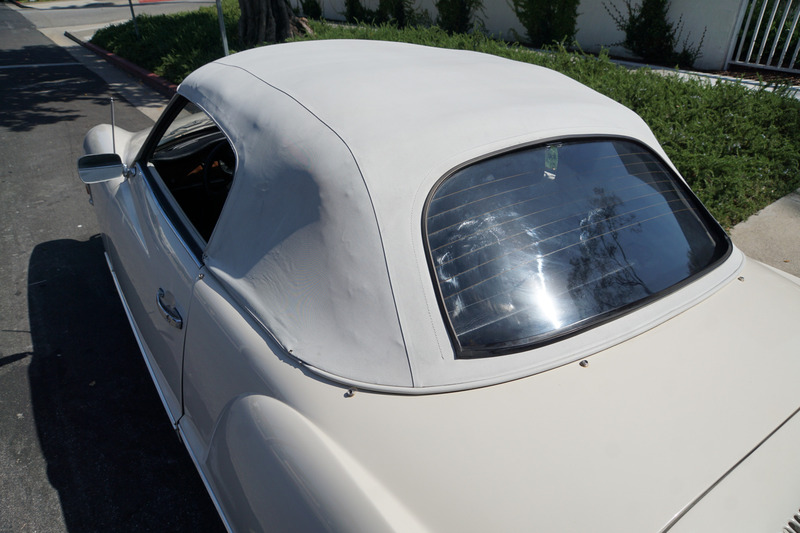 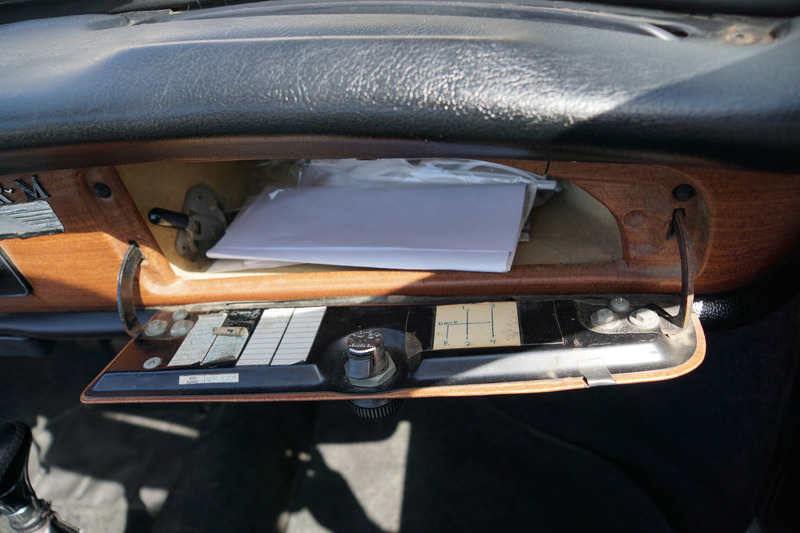 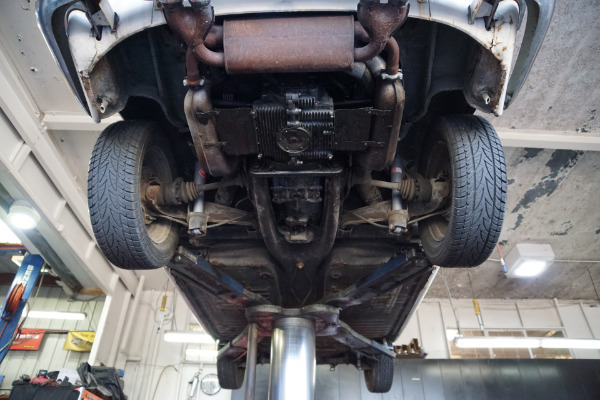 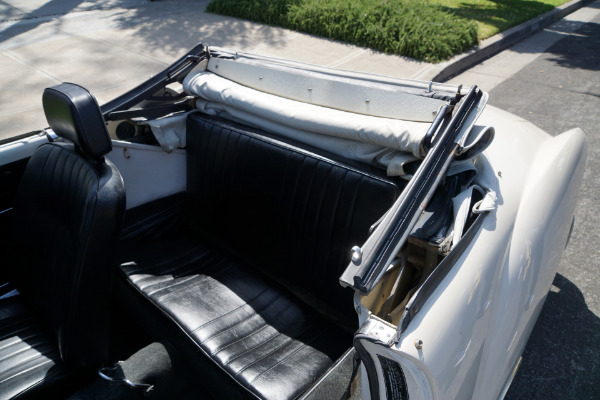 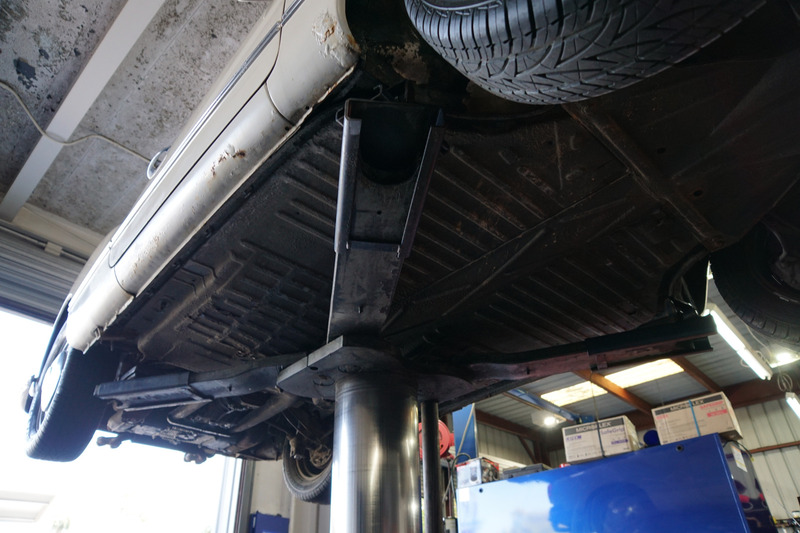 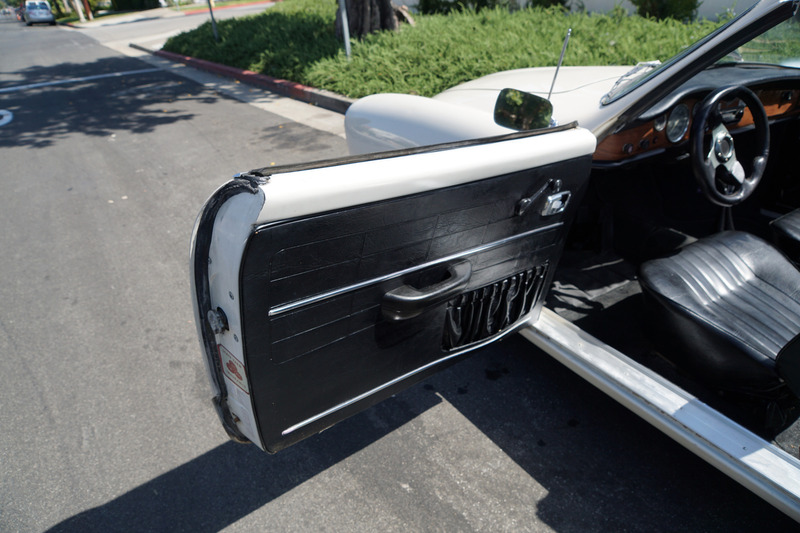 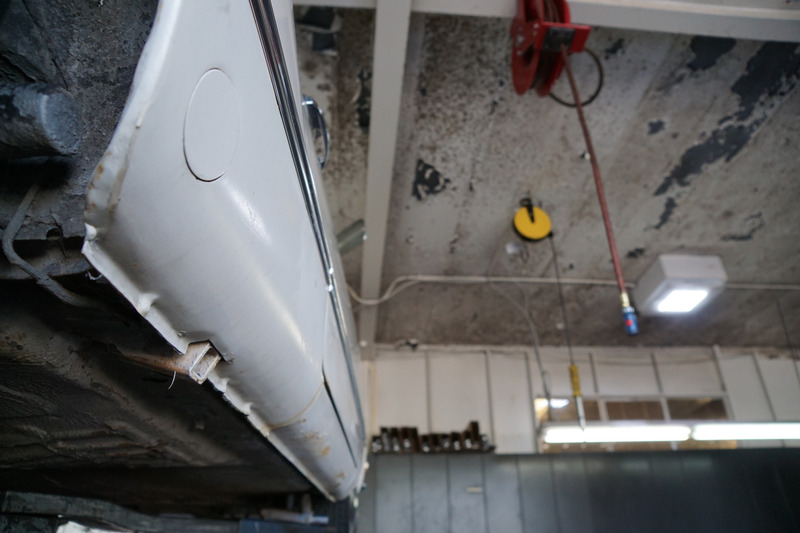 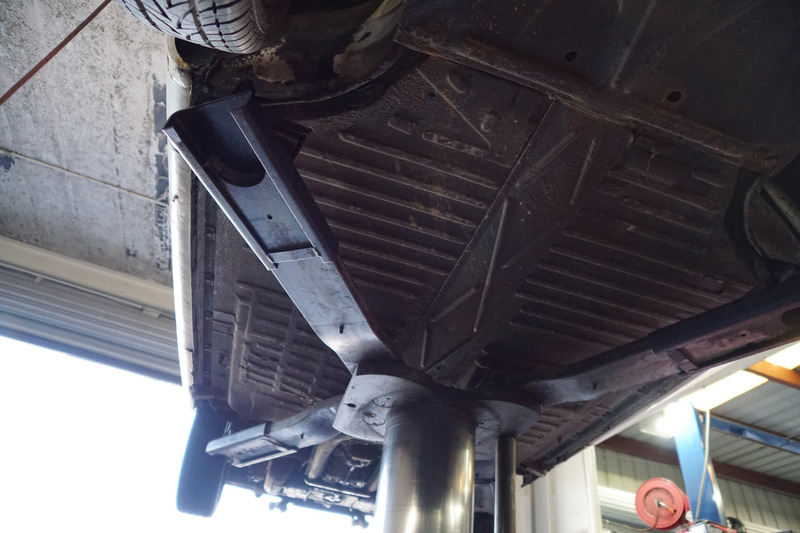 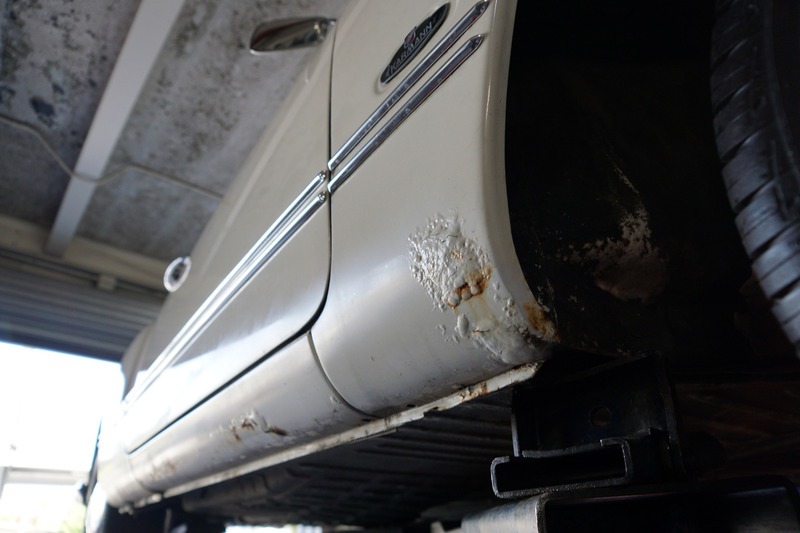 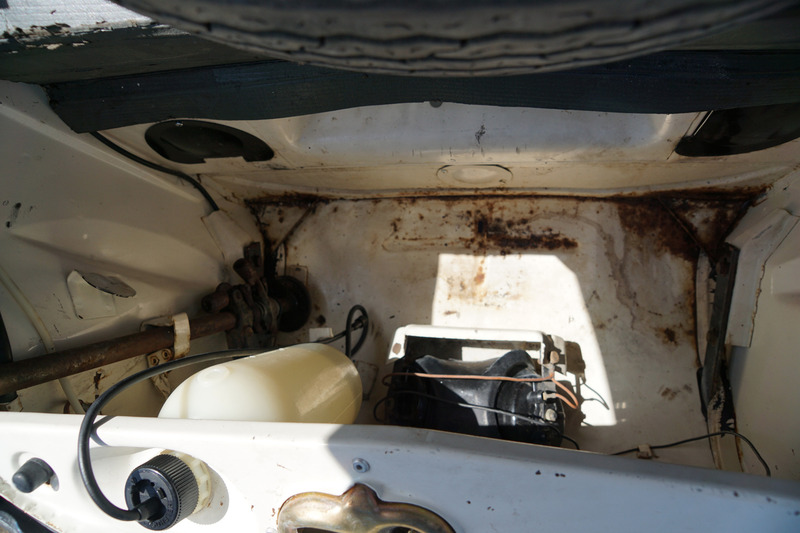 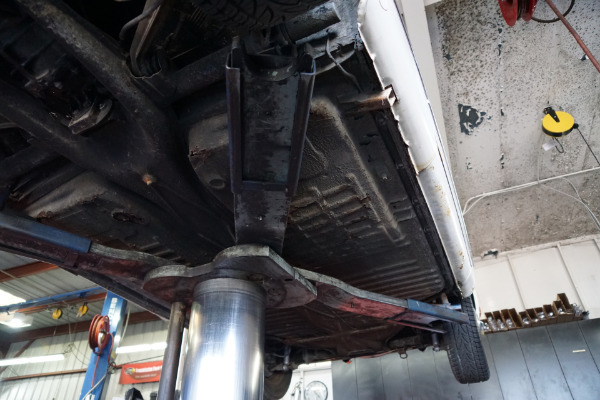 VW advertising made much about Karmann's almost hand construction methods, which included filling, filing and sanding all seams before painting. A delicate blend of old-world German craftmanship and Italian soul, this car proved that sports cars were as much about style and grace as they were about performance and almost twenty years later on 7/31/1974, when VW halted production, it had proved to be one of the all-time best selling and most loved sports cars in the world. 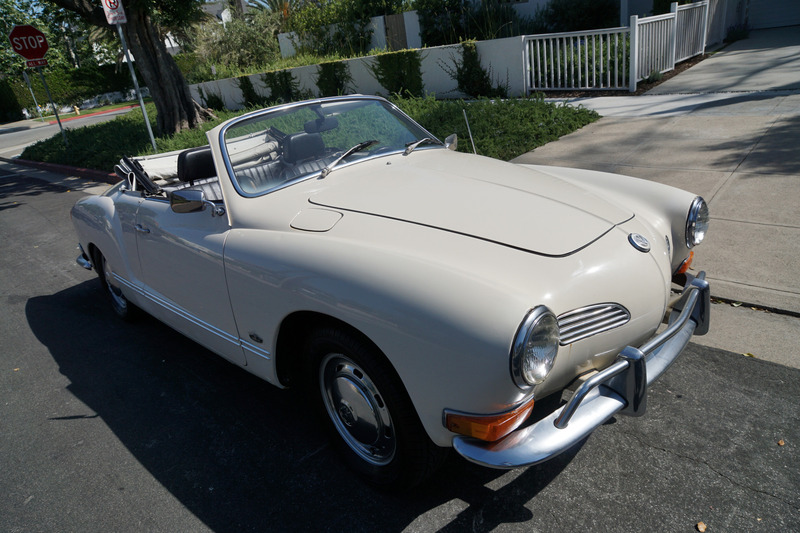 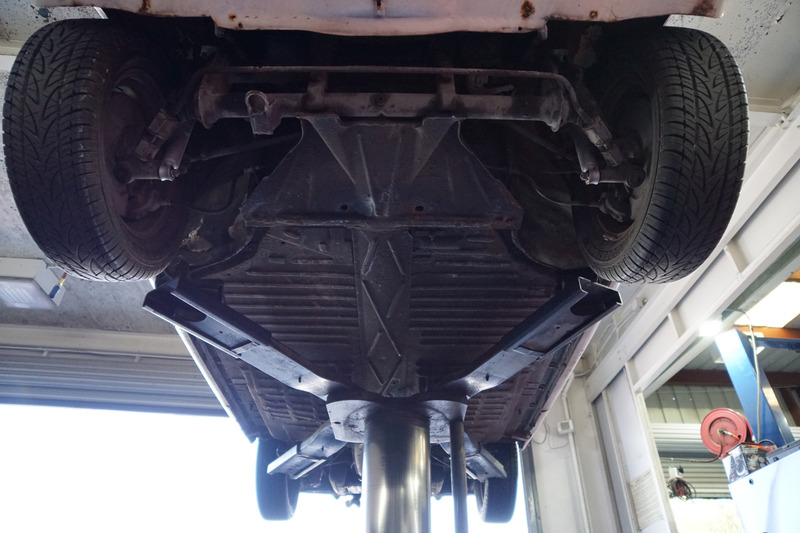 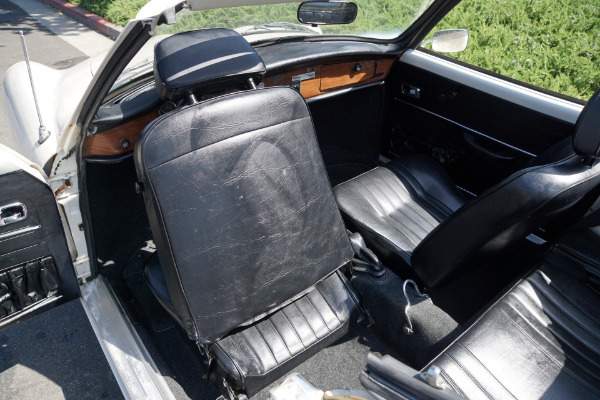 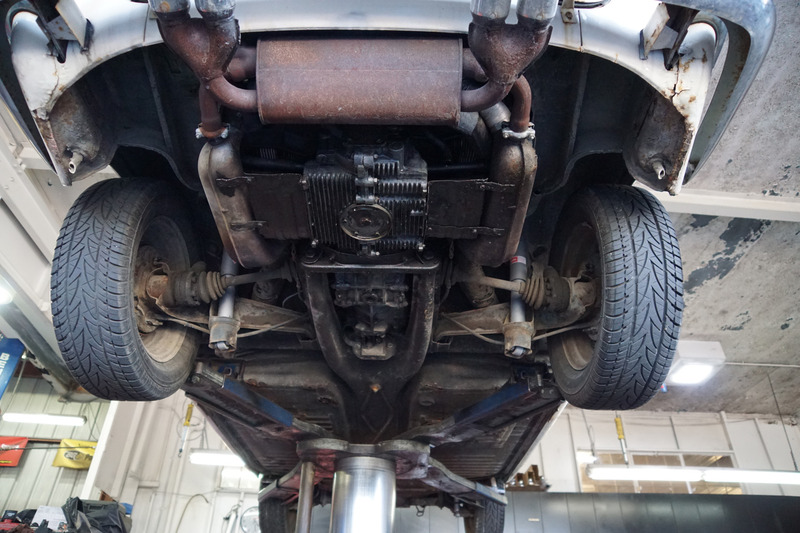 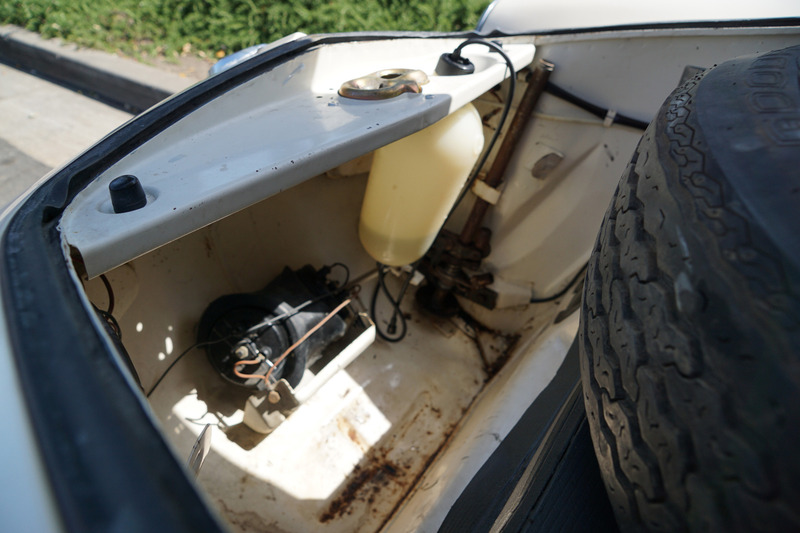 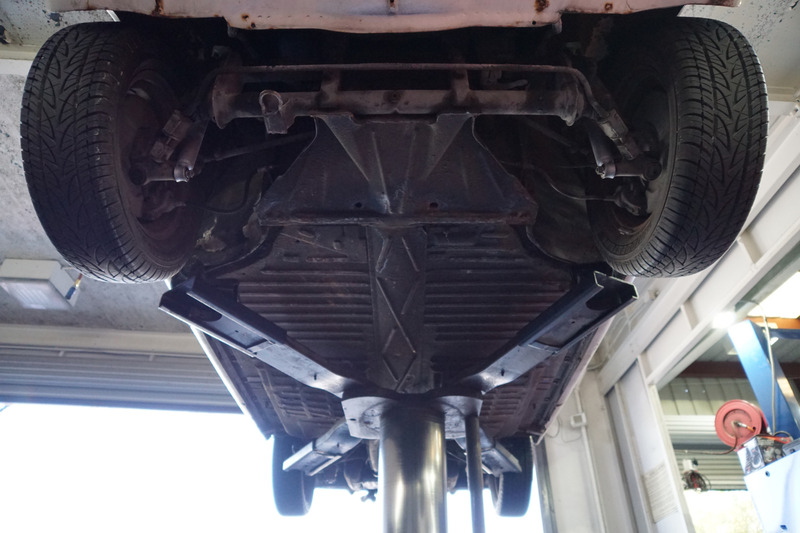 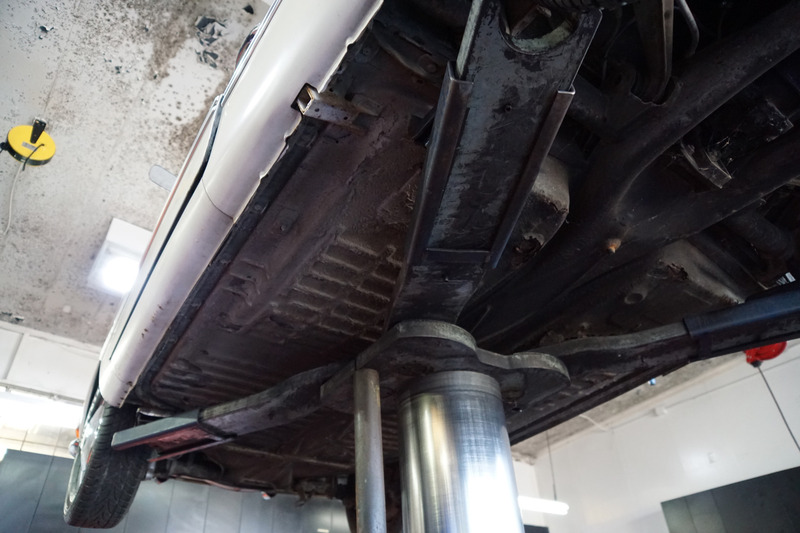 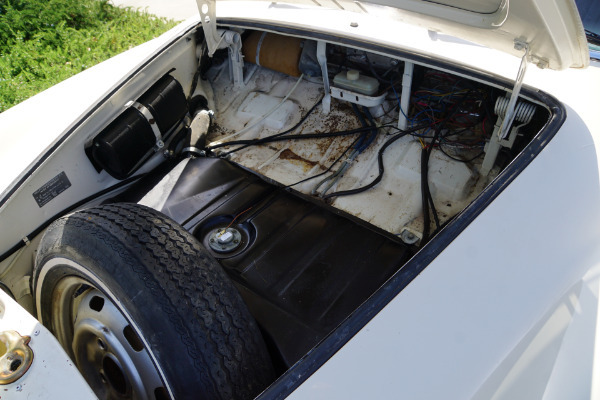 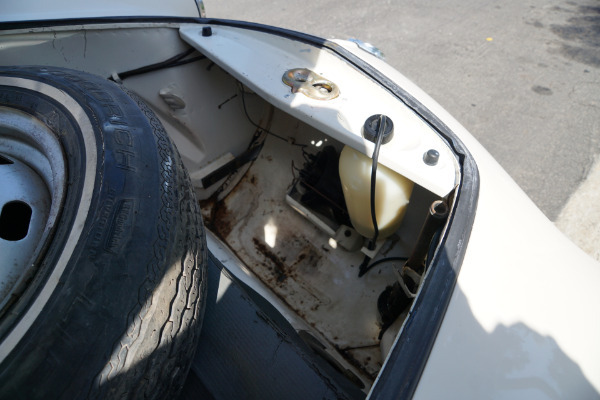 In summary, this is one rare daily driving all time classic VW roadster which is a perfect candidate for the VW enthusiast to restore back to it's former glory!